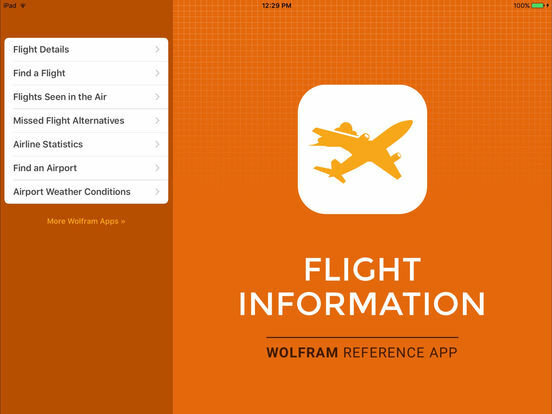 The Wolfram Flight Information Reference App is your ticket to information about airlines, airports, flight details, and more. 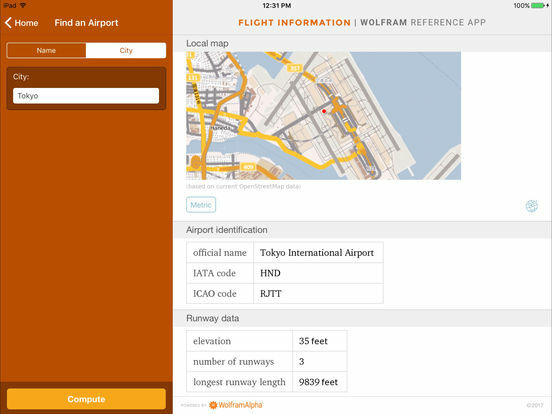 With real-time data for flights in the US, this app will be your go-to guide whether you're a frequent flyer or just picking up a friend from the airport. 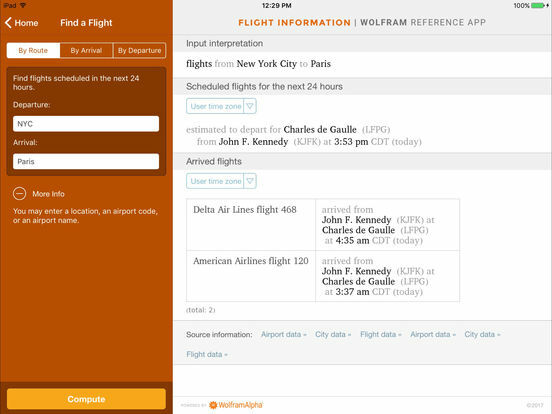 Flight information is currently available for flights within the US only and international flights to or from the US. 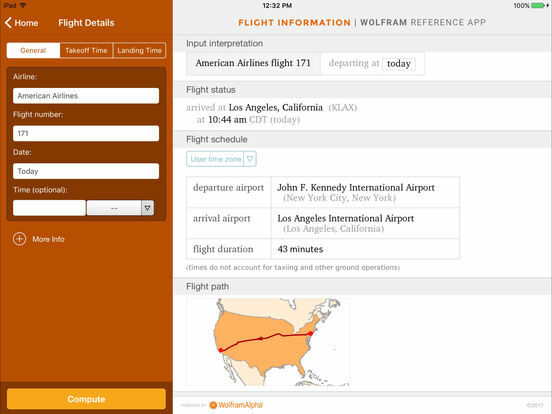 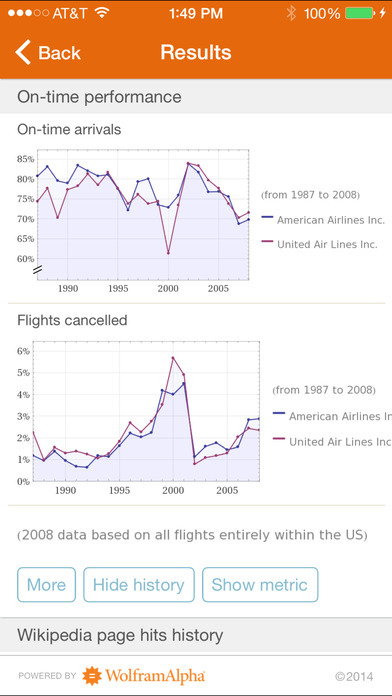 The Wolfram Flight Information Reference App is powered by the Wolfram|Alpha computational knowledge engine and is created by Wolfram Research, makers of Mathematica—the world's leading software system for mathematical research and education. 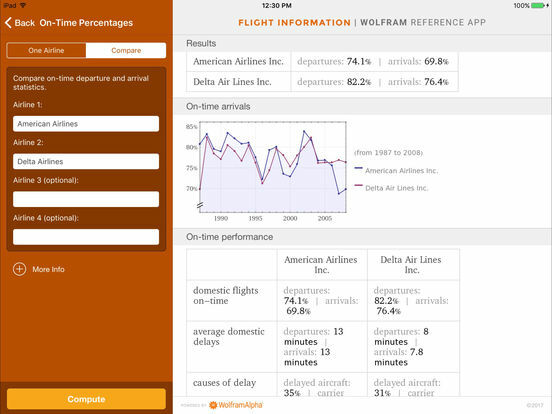 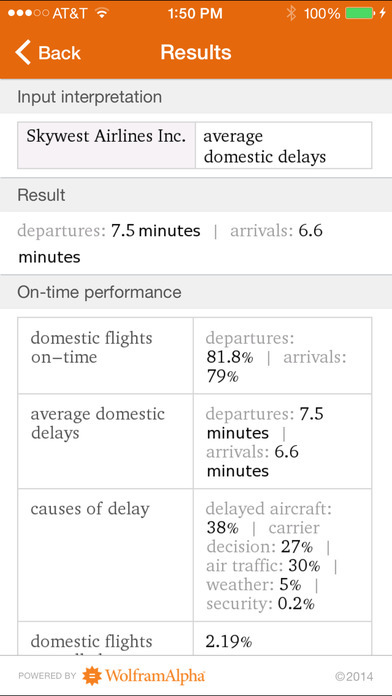 The Wolfram Flight Information Reference App draws on the computational power of Wolfram|Alpha's supercomputers over a 3G, 4G, or Wi-Fi connection.